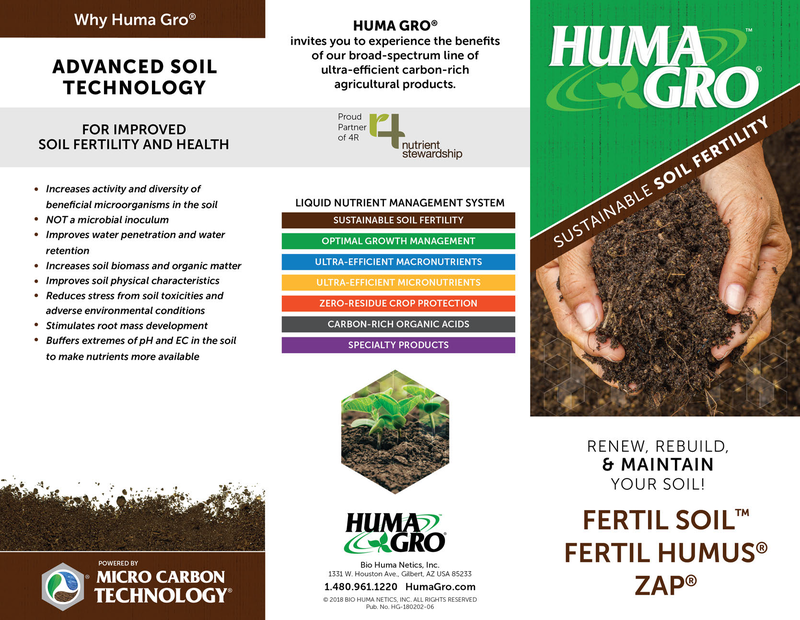 Huma Gro®’s sustainable soil fertility products have been proven effective time and time again. By increasing the activity and diversity of soil microbe populations, Huma Gro® products can greatly improve soil structure, increase nutrient availability, and otherwise help to rejuvenate unhealthy soil. Other product benefits include the ability to buffer extremes of pH and EC, aerate soils, increase moisture retention, flocculate clay soils, improve root mass development, and break down toxic chemicals in the soil. 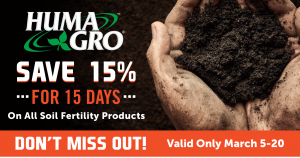 Visit https://humagro.com/soilpromo15/ for more information on our soil products. Contact your Huma Gro® Representative to place your order today!